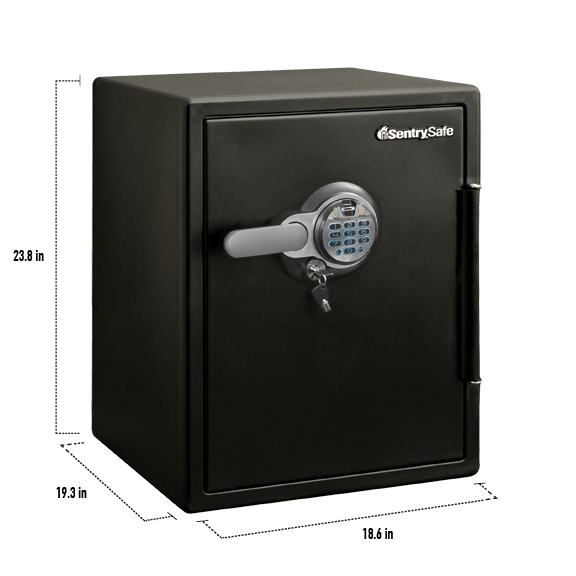 SFW205BPC Fingerprint Fire/Water Safe is rated 5.0 out of 5 by 1. With programmable fingerprint and digital keypad entry, the SentrySafe SFW205BPC is the ideal security solution for your home or office. 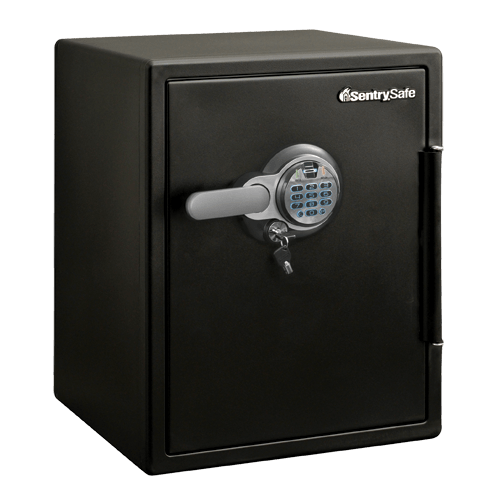 Rated 5 out of 5 by Hardhead from Excellent Quality and Just Barely Large Enough I extensively researched my safe options before settling on the Sentry Safe SFW205BPC. I ended up ordered 2 additional shelves that were delivered promptly to enhance its utility. Everything worked exactly as represented. It was easy to program in my own security code and my fingerprints into the biometric reader. The locking lugs were a bit stiff but I sprayed them a verrrry light coating of WD40 and cycled them about 30 times before they loosened up quite nicely. 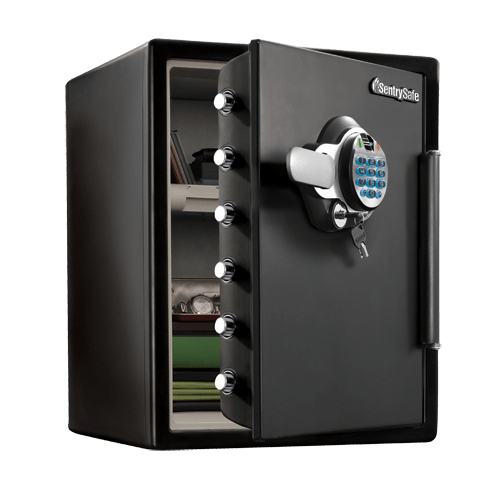 The safe has an air of solidity to it and the lugs appear to be solid substantial bars. No complaints whatsoever that are the fault of the safe. However, now that I have one I would like to keep more cherished items in it but I simply ran out of space. I have a 72x48" monster in another home that has plenty of space but it occupies a lot of real estate! Make sure that you get one large enough for your needs and then some. Some people have wondered whether it is OK for firearms and I do not see why it would not. Always you some kind of drying agent some and open the doors at least once per week and you should be just fine. I store a compact 9mm and several mags on one shelf with no problem. This is a quality piece of equipment and a fair bargain at the price. At 124lbs it can be moved rather easily so it still should be anchored if you are concerned about portability. 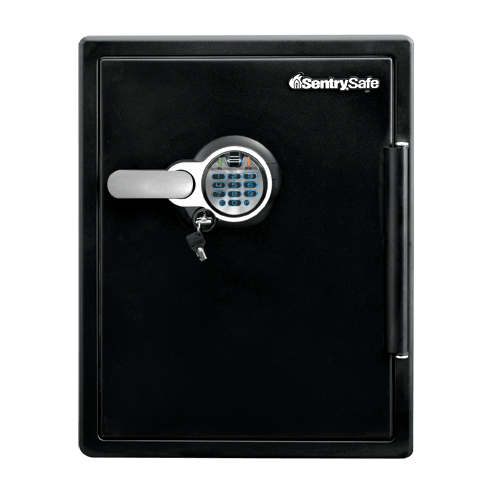 The biometric feature was a big selling point for me and I would NEVER by another safe without it. I mean NEVER! The wife also appreciates this feature tremendously!